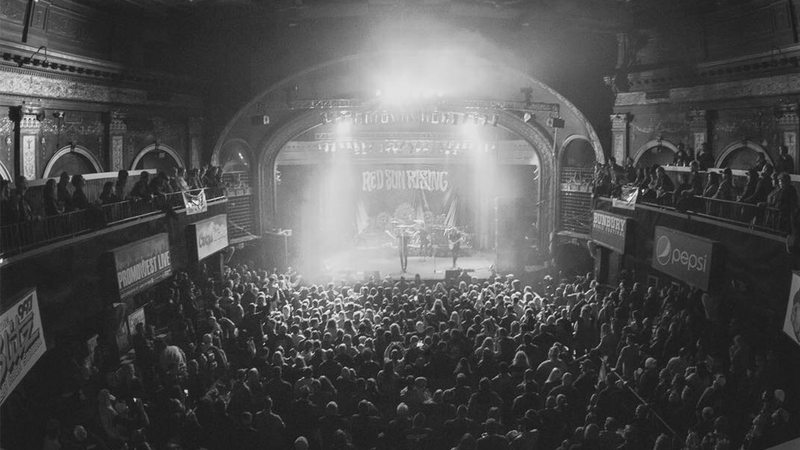 Akron, Ohio based band Red Sun Rising are no stranger to shifting moods. 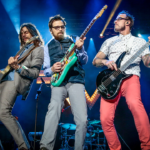 By creating a dynamic genre-bending sound, the band has garnered a loyal fanbase that enjoys the dark themes with unpredictable song structures and arrangements, keeping the listener engaged throughout each tune. Never staying put, Red Sun Rising hit the road throughout last year in promotion of their new record titled Thread. Check out their official music video for their single “Deathwish” above. Red Sun Rising count on Ernie Ball Beefy Slinky, Not Even Slinky, Earthwood Phosphor Bronze Acoustic Strings Med Light, and Power Slinky Bass. Listen to top tracks from Red Sun Rising and add them to your playlist today. 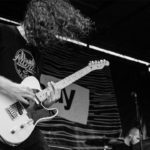 90’s inspired, moody guitar-driven melodies by bands like Sleater-Kinney, Walla Walla, and Autoclave played a vital role in motivating Washington based band, Chastity Belt. Often using witty cutting lyrics, and not taking themselves too seriously by purposely misspelling names on their debut record No Regerts, the band found themselves touring frequently in support of this record and inked a deal with Hardly Art Records for their next release, followed by their latest moodier album titled I Used To Spend So Much Time Alone. Watch the band’s official music video for their latest single titled “Different Now” above. Chastity Belt creates their sound with Ernie Ball Power Slinky, Everlast Phosphor Bronze Light acoustic strings, Earthwood Silk and Steel. Listen to top tracks from Chastity Belt below and add them to your playlist today. Canadian based band Courage My Love is comprised of twin sisters Mercedes Arn-Horn (vocals/guitar), Phoenix Arn-Horn (Drums), and Brandon Lockwood (Bass). After winning a Juno award for Breakthrough Group of the Year, the band was also listed on Alternative Press’ “bands you must know for 2018.” A great blend of hooky pop, rocking riffs, and electronica, Courage My Love has built a solid following garnering over 7 million views on their videos. Check out their official video for their single “Remission” above. 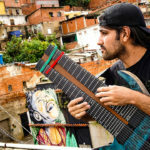 Courage My Love rip the gig with Ernie Ball Paradigm Regular Slinky, Everlast 80/20 Medium Light Acoustic Strings and Custom 50-130 Slinky Bass strings. Take Courage My Love with you on the go by adding them to your playlist below. California based, heavy metal re-finds its golden era here with the band Haunt. 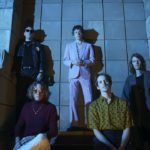 Rising in popularity with “throwback time capsule bands with a modern twist” like Ghost, here you get exactly what you expect. Guitar driven riffs, twin harmony leads, classic heavy metal songs with no filler. Haunt has released their newest record titled Burst Into Flames in 2018, listen to their title track above and bang your head. After a viral submission into NPR’s Tiny Desk Contest, which was filmed in the guitarist Derek Lynch’s backyard, Hobo Johnson and the Lovemakers captured both eyes and ears when an emotionally convicted Frank Lopes stitched together a quilt of lyrics and stories, from the frivolous thoughts of why we do the things we do, to the bigger internal traumas of why anything matters. Frank’s lyrics brought forth an authenticity that resonated with an audience for millions of views on YouTube. From sleeping in a 1994 Toyota Corolla, throwing DIY backyard shows, and Soundcloud uploads, Hobo Johnson has gained traction. Somewhere between hip hop, slam poetry, and emotional r&b lives his feverish manic style. Hobo Johnson brings proof that like diamonds, sometimes the most beautiful things can be created by the crushing pressure the world around you puts. Check out the NPR tiny desk performance above. 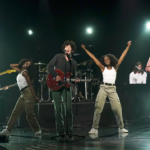 Listen to top tracks from Hobo Johnson below and add them to your playlist today.